Direct warp into Normal Space. No gates. Ships at 65-115k if you warp to 0. 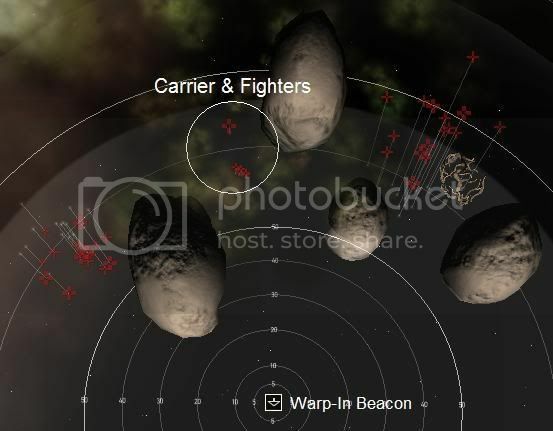 Fighters and Carrier aggro at Warp-In. Remaining ships aggro upon your first shot. Mission occurs in normal space, so you can always warp to distances and to bookmarks farther away from the NPCs.